I'm a little disappointed, I can only name about half the characters on there without referring to the tag list. I need more practice. 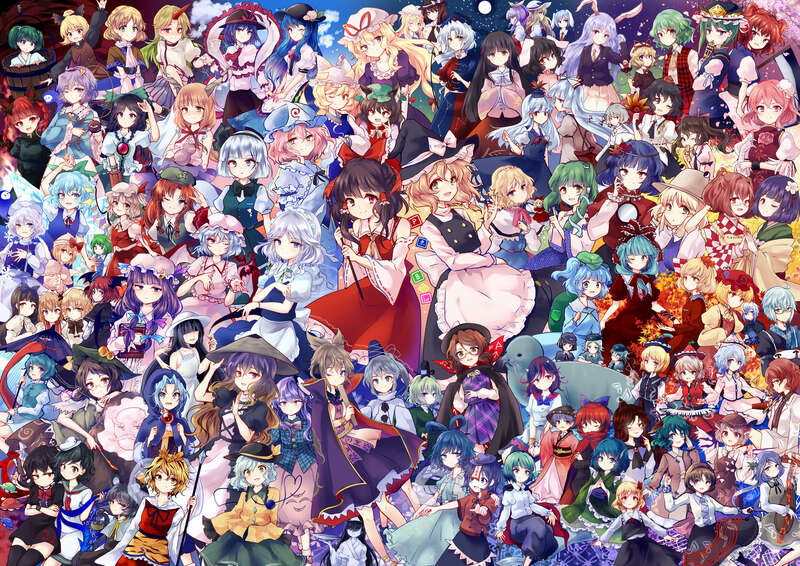 Loving how they drew Marisa here, Cirno looks a little.... eh. I never knew there was a plain 'ol Reisen in the Touhou world.